The beautiful thing about food, beyond keeping us alive and (usually) tasting fan-freaking-tastic, is the memories a certain dish can hold. The memories married to a flavor or recipe may seem random, like bubblegum bringing a ski lift to mind, or predictable, like turkey and the Super Bowl. Each time we make a dish, we add another ingredient to the bowl of memories it holds. Given this fact, I’m grateful to have brought my “tester” for this recipe to a very special camping weekend up in the Madison Range south of Bozeman. A group of us ran/hiked up Alp Creek, over the saddle between Imp Peak and Woodward Mountain, and back down Taylor Creek. All in memory of a beloved friend. Moving forward, when I make this pie, I can remember being up in those mountains, feeling the wild power of this world. I can remember sitting around a campfire with new and old friends, enjoying cold beers after a long day on the move. I hope this recipe brings you memories of days spent with good people, enjoying the beauty of life. Or in the least, I hope you enjoy a slice on the patio or even just next to an open window. The summer is a'flying. 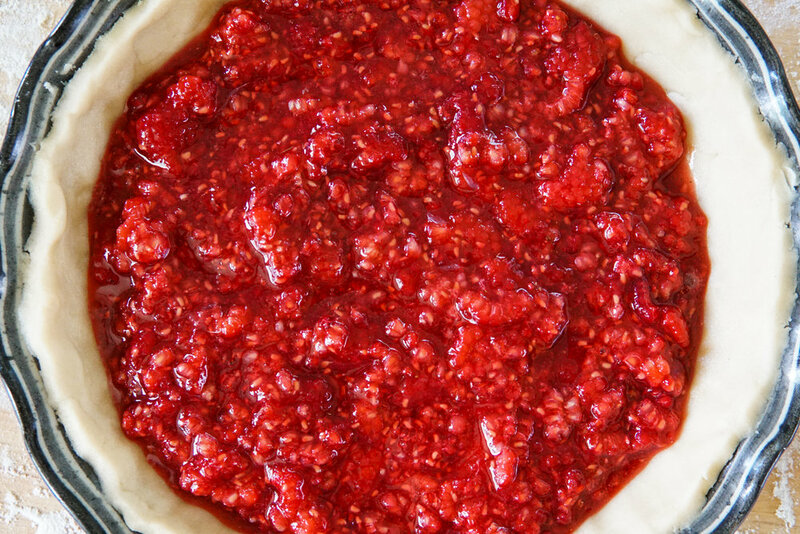 Time to make time to enjoy its bounty and simple pleasures--like pie. * If going gluten free, add in a heaping teaspoon of xantham gum. 2. Mix flour with salt (and xantham gum, if you're going gf). Cut in about half-inch cubes of butter. Mash together with either a pie cutter, fork, or (very clean) hands. 3. Here's the tricky part for my fellow gluten-free folk in the crowd. We wanna get the dough a little cold and wet with water, but not so much it begins to fall apart. I gently mash 2 T of ice cold water into the dough and scatter flour across the table. Careful not to overwork the crust here, or it will fall apart. 4. 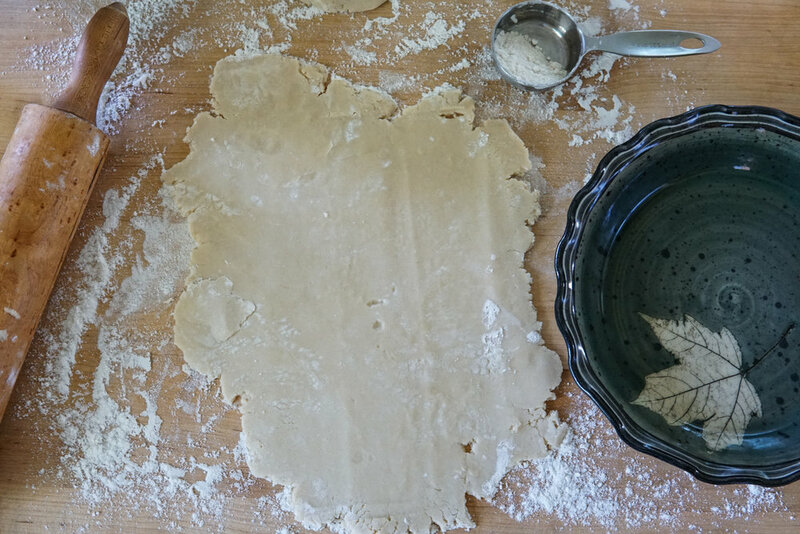 Divide the dough into a third and two-thirds chunks. Place the one-third aside and roll out the two-thirds until it's about an 1/8 inch thick. 5. If you can, set the dough into the pie and press it in. My gluten-free pastry crust ended up coming apart in chunks, so I did it piecemeal. When it was all in, I smoothed out any irregularities with a spoon and pinched the crust for the quintessential wave effect. You may have some dough left over - we'll use it for the top layer. 6. Place the raspberries in a bowl with the sugar. Add the juice as well as shredded peel from the lemon. Mash together with a spoon and place the filling in the pie crust. 8. Slice breathing slits onto the top layer and bake for 50 minutes.